A beautiful morning view from where we work at Legalesign.com. 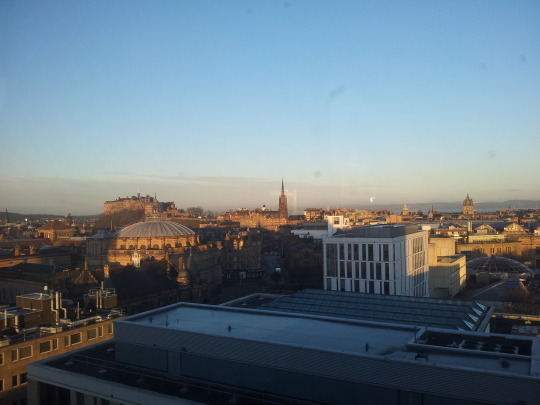 You can see Edinburgh castle on the left horizon, that dome in the foreground is McEwan Hall, below us is the roof of the University of Edinburgh Informatics forum and the spires beyond are the Hub and St Giles Cathedral. You can just see a stretch of blue water behind St Giles Cathedral, that’s the Firth of Forth with the Kingdom of Fife beyond.